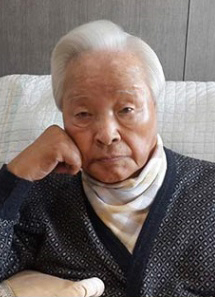 I'm curious to see how Korea will remember KIM Young-sam, a man who always wanted to leave his mark on History, but could end up as a more controversial, transitional figure. Anyway, a very interesting character in Korean politics. A democracy fighter turned political weather vane, an enemy of PARK Chung-hee and CHUN Doo-hwan turned nemesis of KIM Dae-jung, a bold reformer of the financial sector turned victim of the IMF crisis, KIM Young-sam almost seems to have both reached and left Cheong Wa Dae like a thief. By running against DJ, YS helped ROH Tae-woo make history: return to democracy, establishing relationships with Russia and China... An historic meeting with KIM Il-sung would have secured his own legacy, but the North Korean leader died on him. Like Saemangeum, his dream project (see "Ari, Arirang, Ari, Ariul City"), KIM Young-sam's legacy is a gigantic oddity still in the making, and like himself, a consuming ambition still looking for a purpose, a place in History. Now let's see how PARK Geun-hye presents this predecessor of hers, particularly his 'democracy fighter' side. The opposition will also have a tough job, but somehow KIM Young-sam is a mirror exposing all the beauties and flaws of this nation's complex psyche.